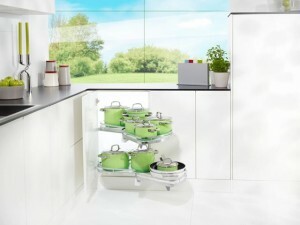 Corner storage units – one you gotta love! 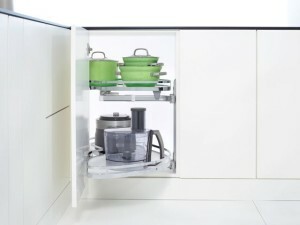 Our clients are loving this intelligent corner unit solution by Kessebohmer. 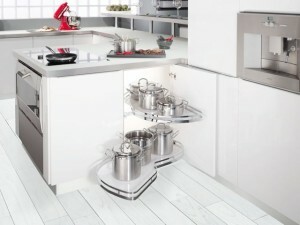 LeMans is the only corner unit solution that combines very high space utilisation with outstanding access. 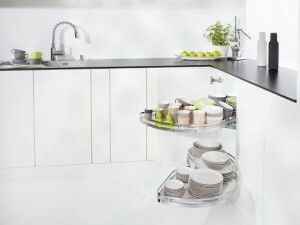 The controlled and perfectly fluid sequence of movements is a seamless combination of turning and swinging, with trays moving independently and bringing the entire cabinet contents into easy reach! Minimum effort required! 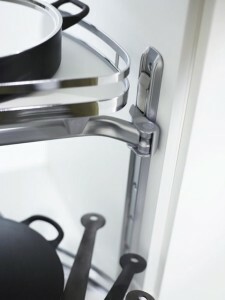 As soon as the shelf is two thirds of the way back into the cupboard, the cushioned mechanism is triggered so that the drawer closes automatically. Each shelf can support 25kg and you can even adjust the height of the shelves whenever you want during day to day use, easily keeping track of what is where and have access to everything with perfect ease. 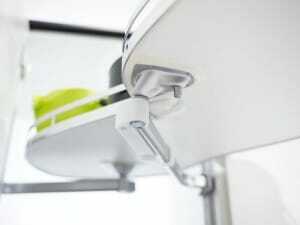 For tip-top technology and sheer captivation LeMans is setting new standards of excellence and innovation.